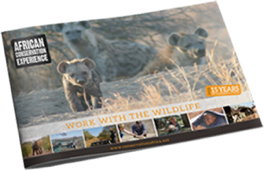 When I decided that I wanted to live the rest of my life in South Africa working as a wildlife vet, I thought it was about time I actually visit South Africa. Going through ACE was the best decision I could have ever made as the team in SA opened my eyes to another world and gave me a glimpse of what my future could be like and the team in England made it all possible. Arriving in SA was terrifying, exhilarating and emotional all at the same time. I couldn’t believe I finally made it! The first stop we made on the journey from the airport, there were rhinos, buffalo and zebra at the service station! It was completely mad! Then before I knew it, I had arrived in Hoedspruit. Being in a new country, let alone a new continent was scary enough as it was, but my host family could not have made my time during the two weeks any more comfortable. It felt like home away from home. They were so welcoming and couldn’t do any more to help. We could sit and watch films with them, swim in their pool, go on horse rides from their school and they were more than happy to take us to any activities we wanted to do on the weekends. If it weren’t for them, I don’t think my time there would have been anywhere near as wonderful. Next it was off to meet the wildlife vet and his assistant. I can honestly say, they are two of the most incredible, awe-inspiring people I have ever had the pleasure to meet and spend time with. The vet team I was with are said to be one of the best rhino teams across the globe and their knowledge of rhinos is exceptional. Being able to work side-by-side with this experienced veterinary team was an absolute honour. The 4.30am starts were a little tiring, but when you get to work with rhino, elephant, lion, cheetah, buffalo and wild dog, among all the other amazing wildlife, it makes those early starts totally worth it. For me, one of the most unbelievable experiences, and one I will never forget, has got to be working up close with white rhino whilst ear notching. BBeing given the opportunity to be so close and touch a wild rhino in its natural habitat, which you only ever see on TV or captive in a zoo/safari park is just unbelievable. But it wasn’t all just observation. 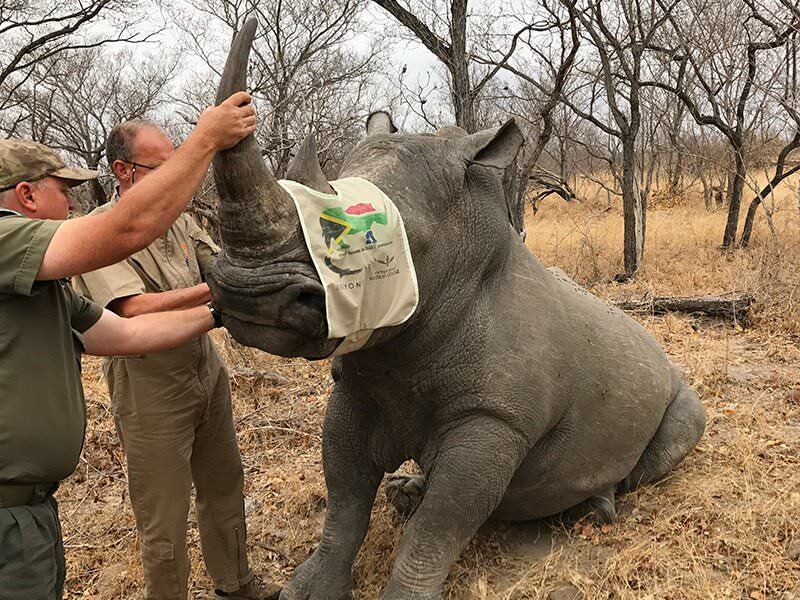 While the vet was concentrating on treating or notching the rhino, his assistant gave me the chance to monitor the rhino’s breathing, which must be done constantly and with an oxygen tube, as their breathing can become very shallow, very quickly and if not done correctly can have fatal consequences. Being a vital part of the team and knowing that I was helping to protect an individual that is part of a species highly threatened by poaching, is a feeling that words can’t describe. Working with a wild dog is also something that I will not forget anytime soon! Being up close and helping the vet suture and bandage a wound is something I never thought I would be able to do. 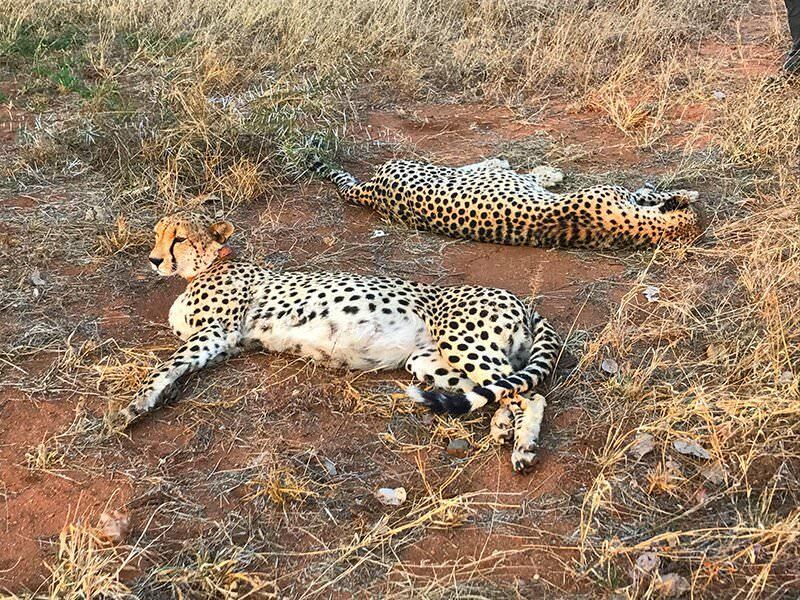 The last experience that really stands out for me is when I had a 10 month old sedated cheetah in need of an x-ray laid across my lap in the back of the car! His head was in my lap, so if he decided to wake up for some reason, I would be the first to know! 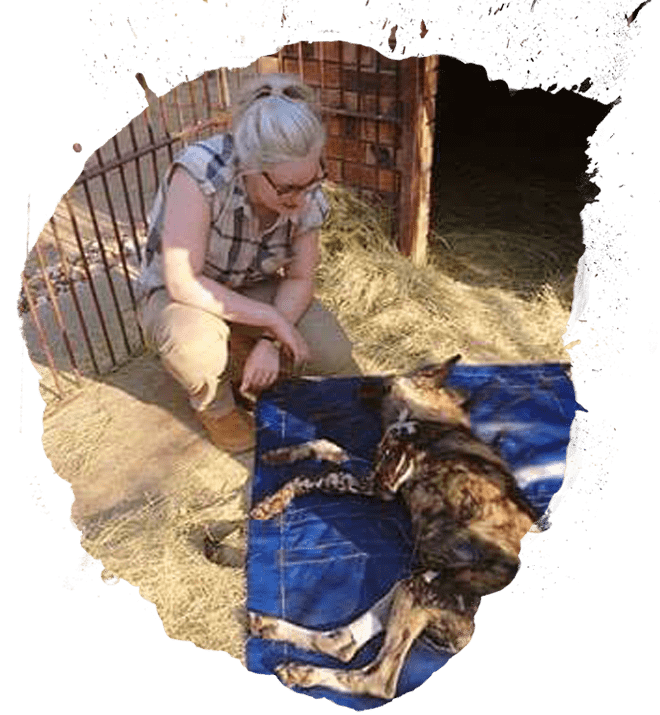 I was given the task of monitoring his breathing all the way back to the clinic which was frightening but also unbelievable, to be given such responsibility and that the vet thought I was capable of such a task. One of the most important things I did learn during my time with them, is that everyday is not always a good day. Living and working out there is not all rainbows and sunshine, but I am so glad I got the opportunity to see both sides of the job. For example, HESC (Hoedspruit Endangered Species Centre) is home to more than 6 young rhino, who were unfortunately orphaned due to poaching. 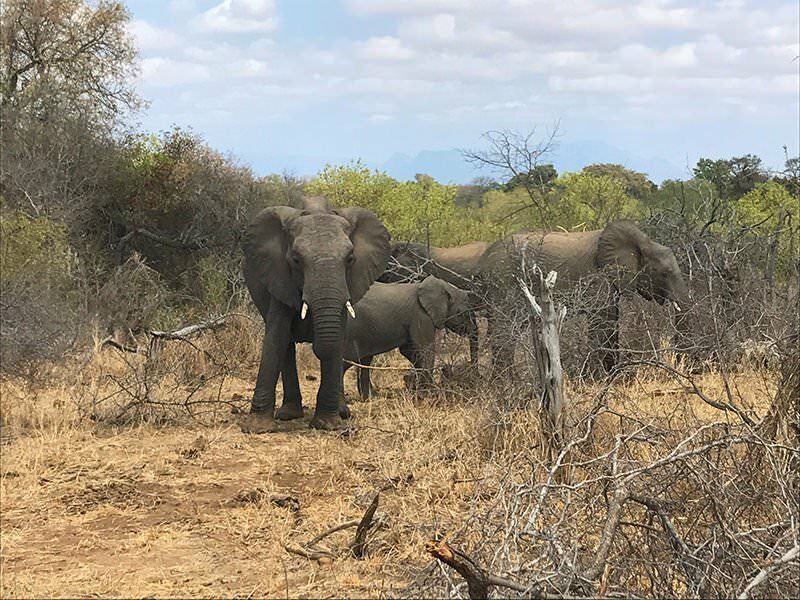 So while poaching is a massive issue out in South Africa, when given the task of relocating 6 of the orphans, it gave me a dose of positivity, knowing they were almost old enough to be released onto the main reserve by themselves. I have learnt more on my trip to South Africa in just two weeks than I ever could have imagined and will be talking about for the rest of my life. The work the vets do to spread the message about conservation and the multiple chances they gave me to interact with wildlife, is beyond incredible and just being able to watch them, let alone get involved, is an absolute privilege. I had so many incredible opportunities and experiences on my trip it is impossible for me to mention them all! One thing that I did not anticipate, is that Africa has definitely got under my skin and now I’ve had a taste of what my life could be like, it has motivated me even more to work hard to achieve it. The organisation of the whole trip by ACE was outstanding which made things much easier and gave me less to worry about when trying to navigate a new country. I have enjoyed it so much that I am returning to Hoedspruit next April for an entire month! Being accepted into the vets team and my host family and working with ACE is one of the most frightening, yet best decisions I have ever made and I wouldn’t change it for the world. The work the vets do to spread the message about conservation and the multiple chances they gave me to interact with wildlife, is beyond incredible and just being able to watch them, let alone get involved, is an absolute privilege.